And to celebrate here are a couple of album downloads for you. 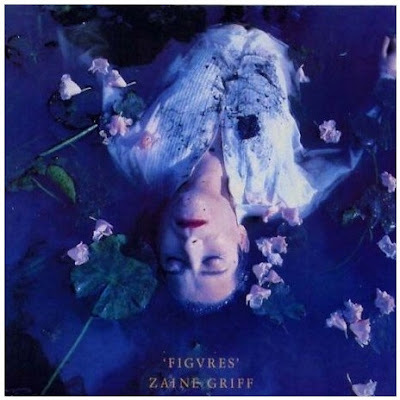 High Fidelity looks at two albums produced by Zaine Griff. If you know your Ultravox, your Yellow Magic Orchestra or your Hans Zimmer then you may well have come across Zaine. If you like synth-pop in the vein of Visage, Ultravox et al then you'll probably like the two Zaine albums Ashes And Diamonds and Figures. Zaine hails from Auckland, New Zealand. In his teens he joined cult band Human Instinct as bass player and wrote several songs for their later albums. He moved to London in 1973, became a vocalist for a band called Baby Face and, like Bowie and Kate Bush before him, studied mime and movement with the legendary Lindsay Kemp. Bush, one of his fellow students, went on to provide backing vocals to the Zaine Griff song Flowers, a tribute to teacher Kemp. Griff later joined a band called Screemer and two singles were released in 1976 and 1977 on Arista. It was Arista that suggested Zaine go solo and he formed his own band in 1977 and Manfred Mann's Chris Thompson helped him put his first demos together. He also played bass on the Kinks album, The Misfits. In 1979, Zaine signed to Automatic Records. Performing at that year's Reading Festival, his band included Hans Zimmer, later to go on to be one of most successful film composers in the world, and Ultravox's drummer Warren Cann. The Tony Visconti produced Ashes And Diamonds was released in October 1980. It clearly showcases Zaine's powerful voice and songwriting abilities with a number of standout songs such as the singles Tonight and Ashes And Diamonds, and atmospheric songs like The Scandinavian. The album certainly rides the crest of the synth-pop boom that started in 1980 with catchy pop melodies, European inflected lyrics and atmosphere. Through Visconti, Zaine met David Bowie and re-recorded a number of Bowie songs with him - Space Oddity, Rebel Rebel and Panic In Detroit. The version of Space Oddity and Panic In Detroit made it onto the Rykodisc re-release of Scary Monsters in the early 1990s, Panic also turned up on the special edition of Heathen. Their version of Rebel Rebel remains missing in action. By 1981, Zaine had signed to Polydor (the home of Visage) and was part of the stable of artists being managed by Morrison O'Donnell. With the help of Hans Zimmer, Zaine produced his second solo album Figures. This album not only featured Warren Cann on drums but also Yukihiro Takahashi from Yellow Magic Orchestra, Kate Bush on backing vocals for the track Flowers, Richard Harvey, Andy Clark and Linda Jardim. Released in September 1982, the emphasis of the album was on Europe, synthesisers and electronic percussion and the album feels more fully realised than Ashes And Diamonds and boasts some stunning songs, from singles Figures and Flowers to The Vanishing Men and The Stranger. Both albums were supposed to be re-released in 2004 on the Resurgence label but they never appeared or were released in extremely small quantities. These are two lost little pop gems from the early 1980s and deserve to be re-discovered. Enjoy. So glad you posted this...I've been wanting to listen to figures for ages, you're right a forgotten classic! Oh, I am pleased you found this on here. When I posted the two albums I thought I might be a lone voice out in the wilderness. I've loved Figures ever since I bought it back in 1982 and although I did get to hear Ashes And Diamonds at about the same time I didn't actually possess a copy until last year! Both albums are highly enjoyable. The last I read was that he had returned to New Zealand and was indeed running a successful club there. He did post up on an Ultravox forum late last year as some of the forum members are trying to get a commercial release for the project that Zaine worked on with Hans and Warren, called Helden. I think I do have the lyrics for both and I'll have a look for you. Thanks for posting these. I'm sure you make a lot of people happy! Met Zaine in Holland years ago. Great memories! Lucky devil, Anonymous. Sounds like you had a good time. 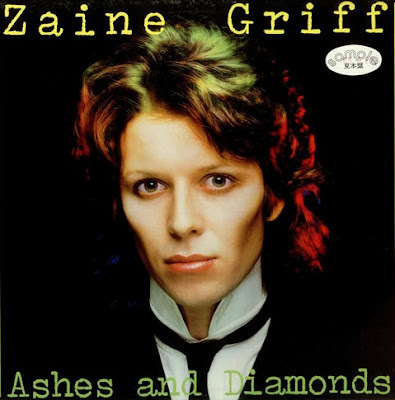 just found this while doing a web search for Zaine Griff and was overjoyed as its been decades since I heard Ashes & Diamonds but alas the links are gone - can anybody help me to where I could find these? Any help greatly appreciated!!! Unfortunately Rapidshare have now blocked that content. I will try and find a way to re-establish those downloads. Keep checking the 'Hi-Fidelity' section for new links. I have refreshed the links to both albums so for a limited time they are available to download again. Links have now been repaired. Try again.